IRON MOUNTAIN — A 64-year-old Ishpeming man was arrested Thursday for possession of crystal methamphetamine, according to the Upper Peninsula Substance Enforcement Team. Detectives from UPSET, along with officers from the Ishpeming Police Department and the Michigan State Police Negaunee Post, arrested the man outside his home on North Second Street in Ishpeming. Under a search warrant, officers found about a half-ounce of crystal meth with an estimated value of more than $3,000. The man is in the Marquette County Jail. Additional arrests are expected. UPSET was assisted by the Ishpeming Police Department, and state police. On Wednesday, a 29-year-old Big Bay man was arrested on charges relating to distribution of crystal meth and heroin, UPSET said. 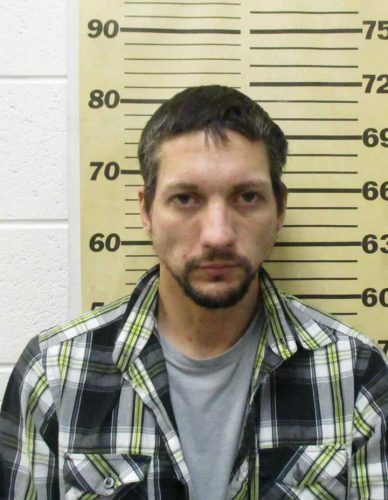 The man was arrested in Marquette after an investigation that spanned several weeks. Under a search warrant, officers seized about 43 grams of crystal meth and 12 grams of heroin, along with $580 in cash, at the man’s Big Bay residence. The drugs have an estimated value of more than $12,000, UPSET said. The suspect is in the Marquette County Jail. UPSET was assisted by Marquette City Police and its K-9 “Scud” and the Marquette County Sheriff’s Department. Homeland Security Investigations and the U.S. Postal Inspector’s Office also assisted in the two arrests.